The majority of the freebies we cover in this column are plug-ins, but hosts and standalone apps are welcome too. We feature a synth that falls into the latter category today, alongside some other instruments and an effect. There are four synths in this range: Feeling is a 3-oscillator additive model; Drafter has three drawable oscillators; Serio3 is a 3-oscillator subtractive instrument; and Cloud sports three morphing oscillators. The interfaces are similar across the line, and you can download the whole lot as a bundle. Thanks to its Oscar win, Trent Reznor and Atticus Ross's soundtrack for The Social Network has been receiving some fresh attention recently. The release of this synth is well-timed, then: it emulates Dewnatron's The Swarmatron, a handmade drone synth that was apparently used to make many of the "buzzing clouds" in said soundtrack. The Vinylizer does what its name implies: processes your audio so that it sounds like it's being played on a damaged old vinyl record. There are adjustable Decenter, Dust and High damage parameters, while it's also possible to set the stop time. 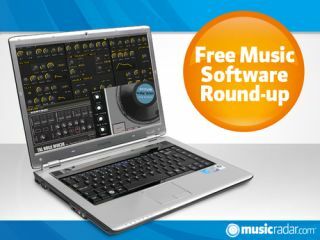 An improved version of the synth that MusicRadar users voted the best free plug-in in the world today. Feature additions in this release include a vintage delay, filter overdrive, full automation support and the inclusion of 128 new Frank "Xenox" Neumann-designed presets as standard.